At Peak Forest CE (VC) Primary, we are aware that our rural catchment means that ethnic diversity isn't something most of our children have much opportunity to experience. As a result we ensure our curriculum has the breadth and depth to allow the children to develop their awareness of other cultures and religions. R.E. Days focus on Christianity and also on the other major world religions. Our children recognise the importance of RE in their lives as they reflect on themselves and others around them. We ask questions about Christianity and other religions and particularly focus on the similarities between them, rather than the differences. We have visited Hindu temples and Sikh gurdwaras. 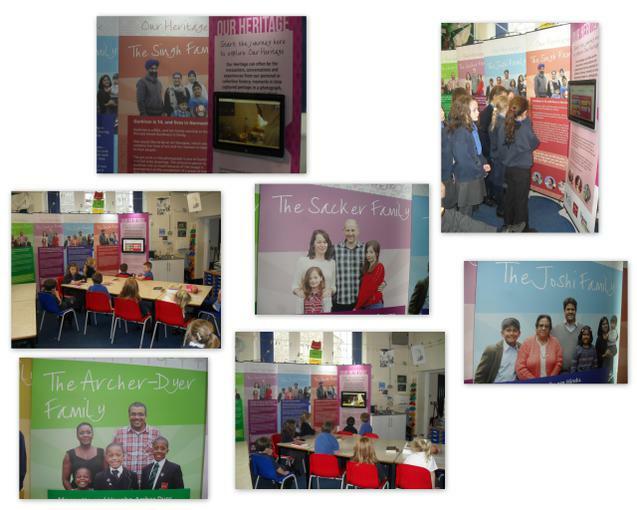 The PFS&CA kindly funded the mobile Open Centre Exhibition in school. The children had an opportunity to learn about 5 Derbyshire families of 5 different faiths. The interactive display allowed them to explore faith and culture and the legacy of multiculturalism from the perspective of the children in these families. We believe that the British values of tolerance and respect are ones which should be demonstrated by all staff and children and taught actively by being embedded in the curriculum. Our work about World War 1 allowed the children to comprehend the impact of the war and to discuss the centenary commemorations with real understanding. We incorporated our work on World War 1 into our village traditions and based the children's Welldressing on remembrance. We have previously looked into the causes of the Holocaust in World War 2 and learned about Anne Frank and the suffering of the Jewish people. A recent in-depth study of the incredible expedition of Ernest Shackleton meant that lengthy discussions were held about heroism and bravery. The year 6 children are appointed as ministers with areas of responsibility and parliaments are often held within school. This allows us to hold frequent discussions about the power of democracy and the rule of law. The recent general election allowed us to study our country's voting system in detail. 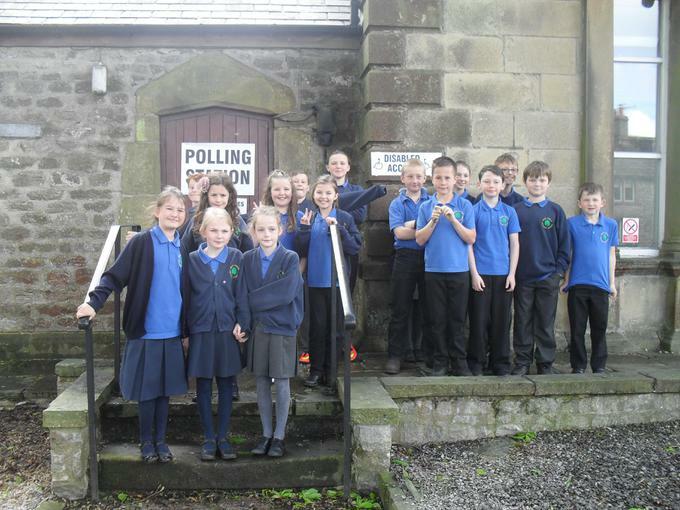 We researched our local candidates and our in-depth study culminated in a visit to the polling station on election day. On a general level, daily collective worship teaches the traditional shared values of empathy, tolerance and respect. These are also taught in a classroom setting in PSHE lessons and informally throughout the school day.